Glassdoor, a Yelp of job seekers, is fundamentally changing the way candidates hunt for jobs and companies recruit talent. 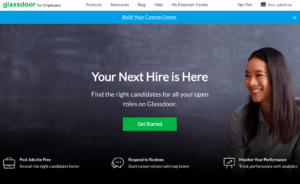 Glassdoor is not only an aggregator of job openings, as sites such as Indeed and CareerBuilder often are, but it is also a user-generated content site of sorts, providing profiles of businesses based on millions of anonymous reviews and data points from current and former employees. I’m fairly certain many of us have tried out sites such as Indeed, CareerBuilder, and LinkedIn at some point during our job searches over the past two years. In fact, it’s no surprise, given the rise in number of job recruitment websites out there today, all trying to make it easier for people to find the perfect job amidst the flood of available positions. Of these many job recruitment companies, one well known example is Glassdoor, a somewhat Yelp for job searchers. Similar to the other companies, Glassdoor is attempting to make it easier for companies to recruit and for candidates to find potential jobs. However, Glassdoor is different from its competitors in that it is attempting to add a layer of transparency in the otherwise asymmetrical job market. Glassdoor is not only an aggregator of job openings, as sites such as Indeed and CareerBuilder often are, but it is also a user-generated content site of sorts, providing profiles of businesses based on millions of anonymous reviews and data points from current and former employees. This layer of transparency helps potential candidates get to know more first-hand experiences about the places they are looking to work out, rather than letting have companies have all the power and secret cards. 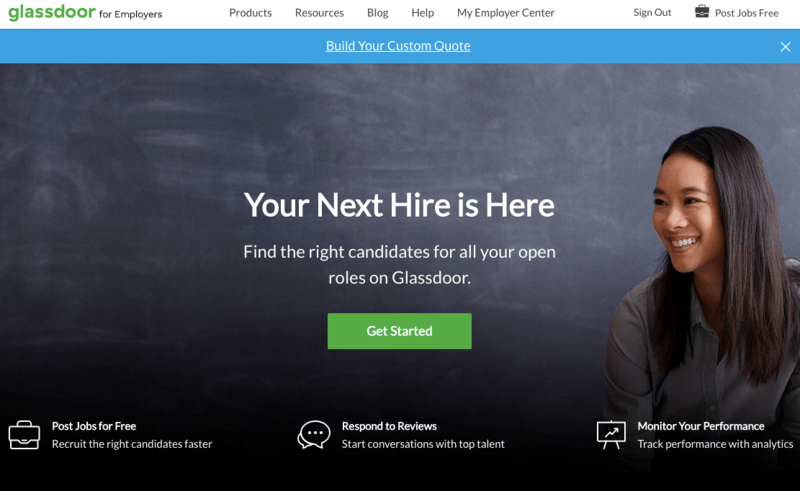 So why is Glassdoor valuable to job seekers and companies and how does it capture this value? Has information about company that can’t be found on company websites, etc. Despite its success so far, Glassdoor still has many challenges, as it looks to grow. Like any anonymous review site, it’s often difficult to weed out fake information. First, the identity checks of users can be imperfect, and users are even able to create multiple accounts under fake names and post reviews of companies where they haven’t even worked. Next, because membership to Glassdoor is free for only ten days, users are asked to post content of their own in order to obtain the unlimited free access status. 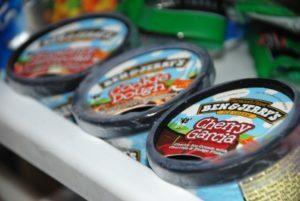 This essentially incentivizes some users to post information for the sake of posting, resulting in some unverified, exaggerated, and possibly even fake information. That being said, Glassdoor is fundamentally changing the way job seekers hunt for jobs and companies recruit talent. Through its user-generated content, Glassdoor has so many data points which it can use to grow out its content areas and invest in machine learning technology that helps weed out fake postings and potentially make even better matches between candidates and jobs. As of 2017, Glassdoor has more than 40 million unique users and about 5,800 paying employers and it will be interesting to see how the company continues to position itself in this space. Thanks for the great post. In terms of Glassdoor’s value creation, I’d also highlight they’re helping to advance pay transparency throughout society. Salary secrecy can lead to pay-gaps based on gender, race, or other superficial factors, which is something that we ought to push back against. With more information on salaries via Glassdoor, candidates under consideration should know what’s fair compensation for the role they’re applying for. Interesting post! I agree that a key issue with the accuracy of the data is the fact that it is reported anonymously, but I wonder how Glassdoor could ever incentivize people to report on their employers if they need to give their own names? Very interesting post! I think what is particularly interesting is their requirement to post information in order to get access. What if you were about to graduate college and were looking for a job and in order to access information, you have to enter information even though you’ve never had a job to enter. You’re definitely right in how that incentivies people to publish fake information since it’s not verified. I wonder if instead of requiring users to post preious job information, they could instead give them an alternative to enter information on what types of jobs theyre looking for and what salary they expect or something else that can be useful to sell to employment agencies or companies looking to hire. Thanks for this interesting post. I understand how Glassdoor can create value for employers and job-seekers, but how has Glassdoor experimented with monetization and capturing value for the company? It appears that they charge users to create paid profiles, but what incentives have the played with to increase the number of paid subscribers and reduce the number of free riders? Thanks for the post. I think another way that Glassdoor creates value is by helping to close the gender and racial pay-gap by making information like salary data much more transparent. Having this information in the public domain and also encouraging open discussion on items like salary are one step in the right direction to gender pay parity. I acknowledge that negative reviews can turn off valuable potential recruits and that any suspicion about the merits of any post would often be aimed at the average users. However, any (unscrupulous) company could also use the system to its advantage, posting positive reviews or influencing public perception. This is somethign that seldom comes to mind with Glassdoor. Similar to Carlfuda, I thought that Glassdoor could use something from the LinkedIn playbook to solve the fake user problem. Specifically, my assumption was that LinkedIn users would be asked to provide additional information (e.g., salary, interview, review of company/position) that would then be anonymized. However, as I thought about this further, I think that this could lead to people actually being less honest about the company (since, even if the information is anonymized, the platform will make it easy to track down who wrote the information since user profiles are public). Finding ways to promote more accurate, reliable data is important to Glassdoor fulfilling its value proposition. In other crowdsourcing platforms, we have seen that building a sense of community increases user engagement and motivates users to feel that they are valued for their contributions. On Glassdoor, the motivation to input information still seems to come mostly from wanting to access information for themselves, although pay transparency and gender pay equality are potential causes to rally with the users. If Glassdoor can build more content and community forums, perhaps that might increase user engagement and reduce motivation to lie on the platform. Interesting post, thanks! I am amazed at the $1 billion post-money valuation — clearly investors are long Glassdoor’s community and value proposition. I find that motivating employees for submissions is an interesting challenge for these review sites. Without sounding too anecdotal, it seems often that people are motivated to contribute to review platforms following exceptional experiences (work environments in this case) or pretty terrible experiences. Often for would-be hires, the most useful and best representation of a company probably lies somewhere in the middle of the stellar and abysmal reviews, so how will Glassdoor incentivize and capture that voice? Thanks. Thanks for the post! I find Glassdoor’s operating model flawed. The fact that users can obtain free access by providing some information, incentivizes them to provide any (possibly fabricated) data for free access. There’s little Glassdoor can do to ensure data integrity. The value prop of Glassdoor depends on these data, and the lower of the data quality the less attractive its business is. Hence, their current model would lead them into a vicious cycle.